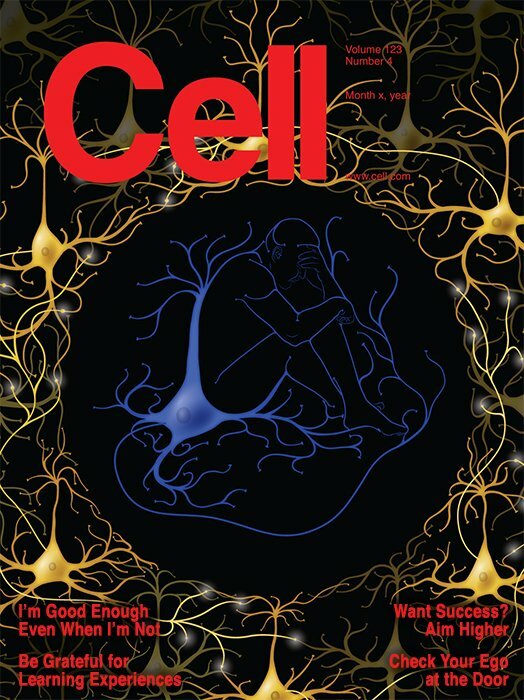 This purpose of this illustration was to get a coveted spot on the cover of MIT’s Cell journal. The author wanted to generate interest in a research article on social isolation which was being submitted for publication. I elected to include it in this portfolio with the actual Cell cover layout markup so it could be viewed as it was intended. This project was a challenge on so many levels. Firstly, illustrating interconnected “social neurons” that looked like pyramidal neurons without getting too technical was interesting. Secondly, camouflaging a human figure within one of the neurons and having it be clearly visible yet still hidden was a real challenge. Lastly, trying to convey an emotional concept of social isolation and loneliness visually with biological components was something I had never attempted before. Ultimately, this illustration was not chosen for the cover, but it did teach me a lot. I did enjoy the challenge and I hope I get to try my hand at another one of these projects. The outside-the-box challenges are pretty exciting. It is not very often that a medical illustrator is invited to simply have fun with a subject and let their creativity really shine.